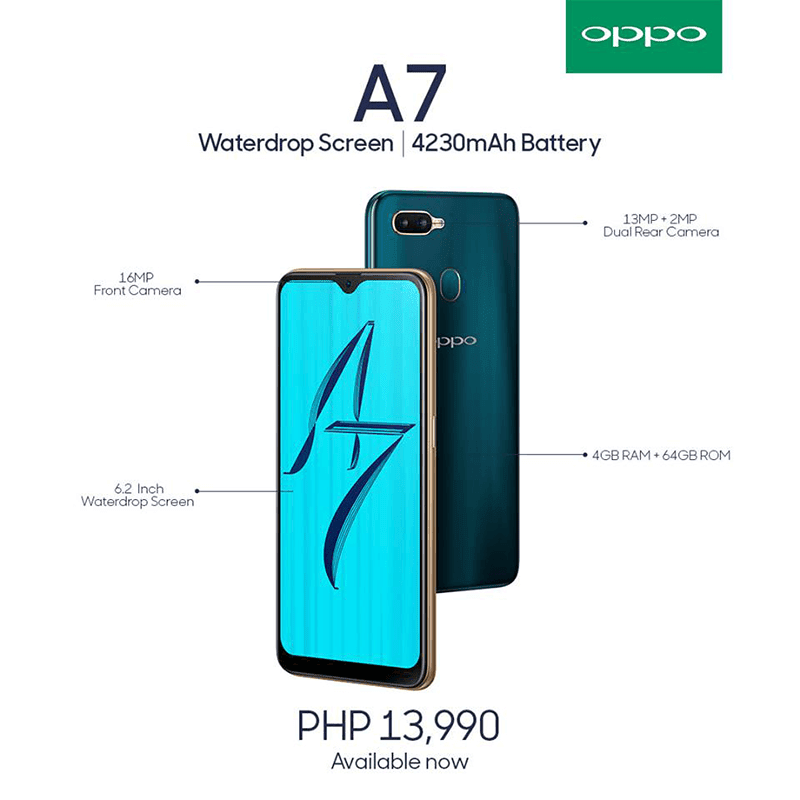 OPPO just launched the A7 in the Philippines. 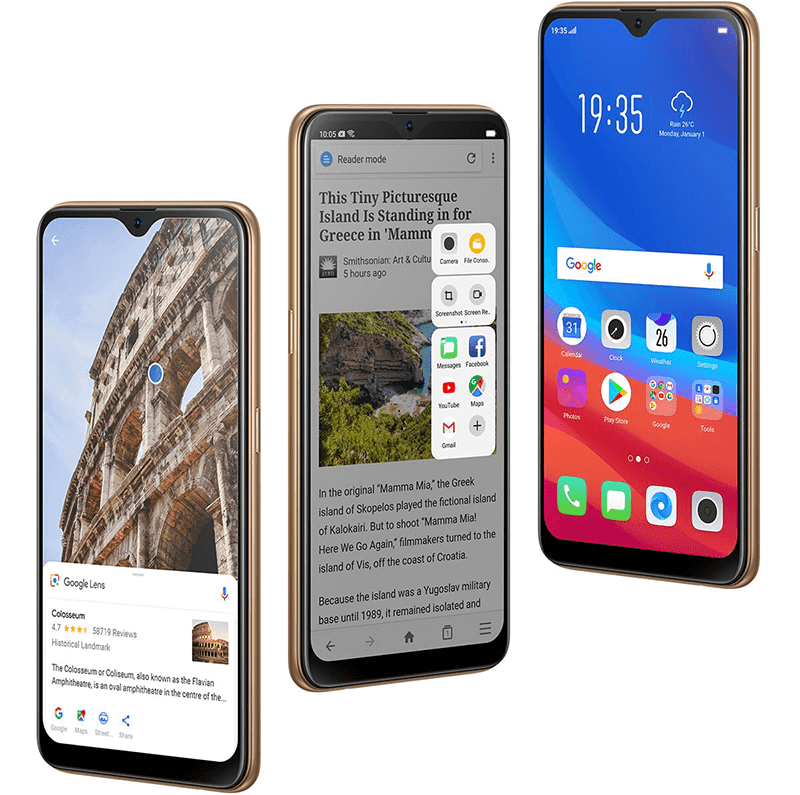 It's a mid-range grade smartphone with a waterdrop notch and big battery capacity. At the back it has a 3D heat-curved sheet and grating pattern at the back for a polished and premium look. In front, it goes with a waterdrop notch design just like the OPPO F9. It features a big 6.22-inch 2.5D curved IPS screen but with lower HD+ 1520 x 720 resolution. Under the hood, it loads with the ageing Snapdragon 450 SoC with Adreno 506 GPU. But it boasts the new Hyper Boost technology for a smoother gaming experience. The OPPO A7 is the first mid-range smartphone of the company with this new type of technology. It also has ample 4GB RAM and large enough 64GB of expandable storage. The best part is it features a massive 4,230mAh of battery which can last for a day or two on a single charge. At the back, this phone has a dual-camera setup. It features a 13MP f/2.2 + 2MP f/2.4 w/ AF and LED flash. For selfies, you will find a 16MP f/2.0 shooter with AI Beauty 2.0 and LED flash. The OPPO A7 is now available in the Philippines for PHP 13,990. You can grab it at the nearest OPPO store near your area.